Nothing beats the look of a shiny, well-maintained automobile. At Habberstad BMW of Huntington, we offer a lineup of auto detailing packages that promises to keep your vehicle looking good as new! As an added bonus, all of our detailing packages include a complimentary hand wash and vacuum. 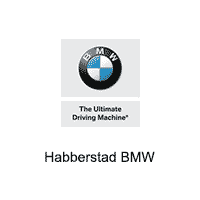 Thank you for choosing Habberstad BMW of Huntington for your auto detailing services. You can schedule an appointment online today, or, you can give us a call at (800) 661-5793 and our team will help set up your detailing appointment.